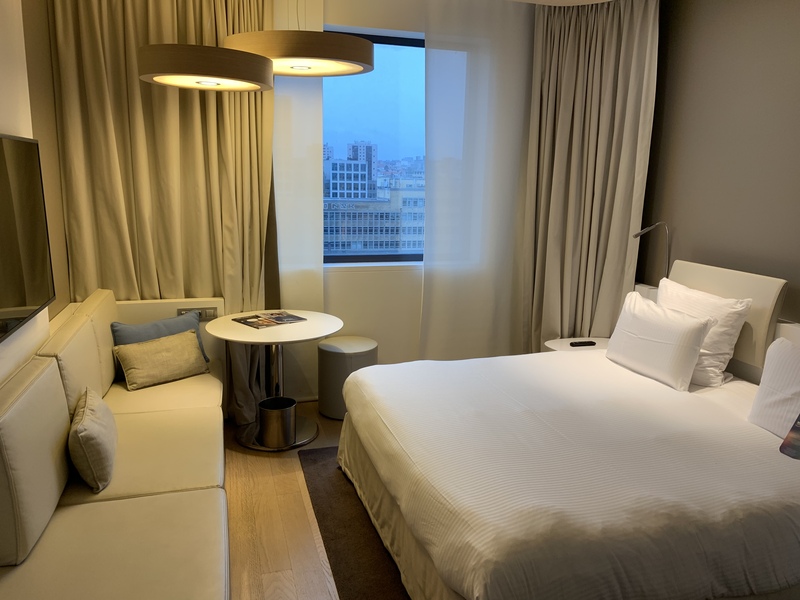 For my short visit to Brussels I stayed at Pullman Brussels Midi which was located within Brussels Midi train station this is where you are able to get the Eurostar train. If you are wishing to stay close to the city centre of Brussels I would not recommend this hotel as it is a 30 minute walk or you can get a taxi for a fee of €8. For the duration of my stay at Pullman Hotel I had a classic room which was very spacious with plenty of storage as well as seating. WiFi is available within the hotel for no extra charge. In the room there was also tea and coffee making facilities, a TV as well as a private bathroom which came with a rainfall shower. Room service is available with a service charge which is something I opted to get when I returned from walking around the centre of Brussels. Within the hotel there is a bar called Victor Bar, an interesting feature of the bar is a large wine wall. The hotel also has a restaurant called Victor, during my visit I did not eat in here. A buffet breakfast is available for a fee of €26 which is something I decided against. Overall I found this hotel to be lovely but just not close enough to the city centre for me but it is perfect for anyone who is catching a early train the next morning.